The principles of carefully selecting raw materials, intermediates and products at the highest quality level will ensure a rigorous selection process by MO.CA of certified companies producing the appropriate value and quality on an international level. Attentive to the quality of its products and the demands of consumers who are increasingly careful, Agrimontana is the benchmark for authenticity and the value of raw materials for all craftsmen, bakers and gelato makers who aspire to excel in their field. The rigorous selection of the raw materials and machining to zero impact preserves the value of the taste and its authenticity, without the addition of additives. An established business in the tradition of pastry products, gelato and bakery, Cresco focuses on the principles of pleasure, variety and passion. A tradition of quality is combined with a continuous search for innovation and timely response to market needs. Bussy is a leading manufacturer of wafers and all types of cannoli that are ready to be filled and decorated for the ideal snack. Specialising in the production of gelato cones and other products, Ali D’Oro is a company that combines the experience of three generations of baking tradition with careful research and a constant spirit of technological innovation. The constant attention to quality and a family atmosphere are the dominant features of a company that has been on the market since 1946. A historic company with over 170 years of experience in cocoa, Barry owes its origins to Charles Barry, the personality that has laid the foundation of the cocoa and chocolate industry. The company mission is to know even more about cocoa than just chocolate. From its early origins, it derives a rich range of dark or milk chocolates, baked goods, products based on dried fruits, 100% cocoa-based products, decorations and much more. Pâtisselect, a leader in the confectionery field was founded with the experience of pastry and bakery professionals and is more than just a producer of raw materials but also acts as a careful selector of the best products from the European market. Pâtisselect identifies, selects and often creates new concept products and tailors them to the needs of consumers. With the support of strategic partnerships with leading companies in the technology sector, Pâtisselect identifies the best in each sector according to a precise protocol and each of its manufacturing partners work according to a private and exclusive specification of production. Pâtisselect is therefore the perfect answer for real artisans of pastry. With over 40 years of experience this Italian company; born from a small company linked to the distribution of flour and baked specialities, ICE WER immediately became a constant reference as a company dedicated to the world of decoration and design. Creative ideas for desserts, snacks, drinks, cakes, chocolate and many other customisations, and decorations are also represented by product lines Krokkali and the Magic of decors. Ab Mauri covers the bread and pastry universe as a whole, providing baked goods, improvers, yeast, bread mix, with a focus on traditional taste, a spirit of innovation and continual research. It has offices in 26 different countries and markets in over 90 countries worldwide. As a leader in cake decoration, Modecor has for over 50 years produced decorations for pastry shops, gelato parlours, party shops and businesses. Using quality raw materials for high-end products, Modecor has BRCE IFS certification, has diversified with gluten-free products and develops its products with strong research. 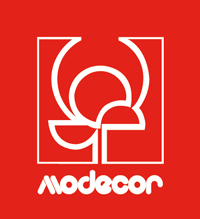 Modecor products are ideal for any environment, opportunity and occasion. From group brand Delifrance, Panitaly offers different types of bakery products including multiple pieces that are able to meet any consumption requirement. The selection of Panitaly is based on its slow repeated preparations and the biga, which is a fundamental ingredient of the product. Many products are made with 100% Panitaly biga, which is made from traditional recipes and give the product its organoleptic properties. Panitaly combines the practicality of a product design and its slow implementation, (the composition involves a fermentation period that lasts over 16 hours), a detail that allows us to offer products that are slowly produced but with a quick service. A respect for tradition and authenticity completes the picture. Recettes de Mon Moulin, or “Recipes of My Mill”, a trademark of Delifrance, aims to seek pastry and bakery products with a focus on showcase and preparations. The recipes of RMM are designed precisely to suit the client and is ready to improve them, depending on individual taste and style. RMM works with a respect for the traditional values of quality, but with special attention to new tastes and demands of an increasingly international market. Vandemoortele is a large European food group that specialises in the production and marketing of high-quality content. The two areas the group covers are frozen foods of pastry and bakery, and margarine and fats. Sandwiches, snacks, sliced bread, bread for catering, retail bread, cakes, viennoiseries are just a few examples of its speciality and frozen bakery products offered to large retailers and the food service industry. The parent company’s goal is to respond accurately and precisely to the needs of the market and customers by meeting the criteria of quality and value of the product.